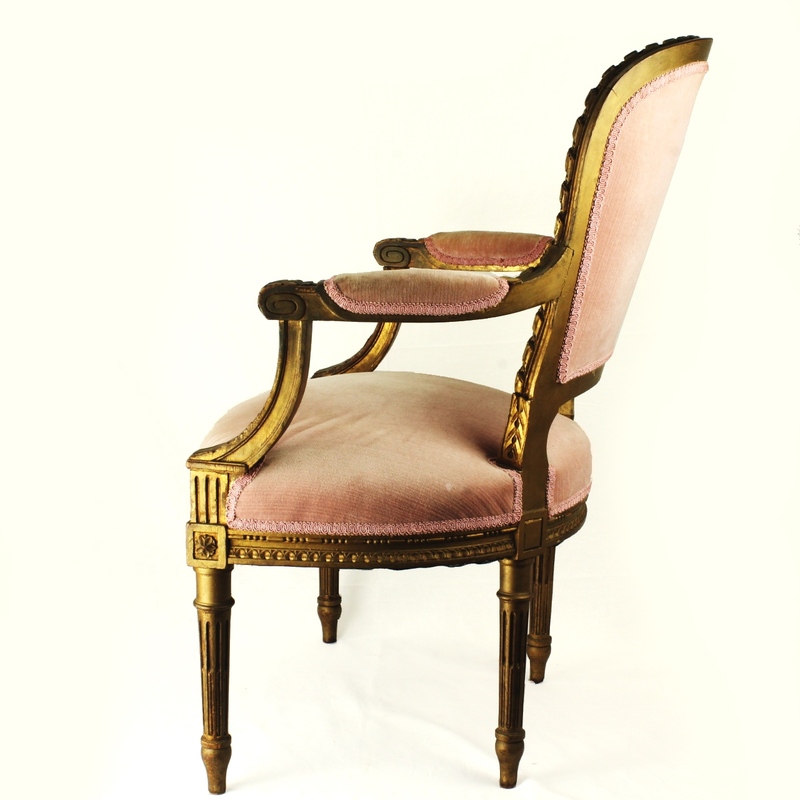 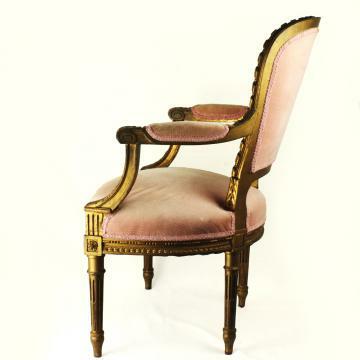 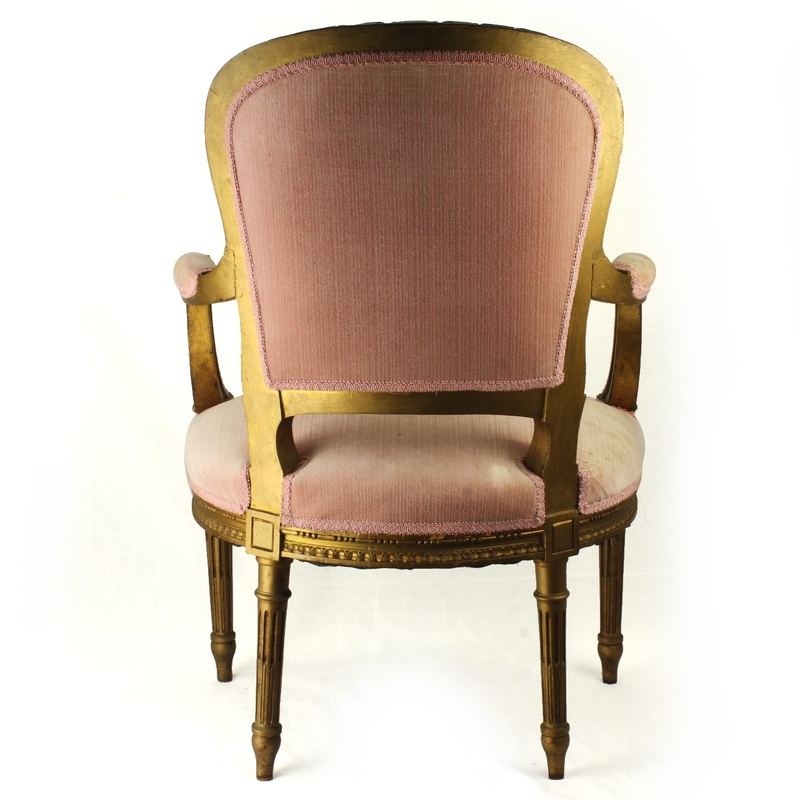 Description: Gorgeous carved and gilted French Neo-Classical style painted arm chair. 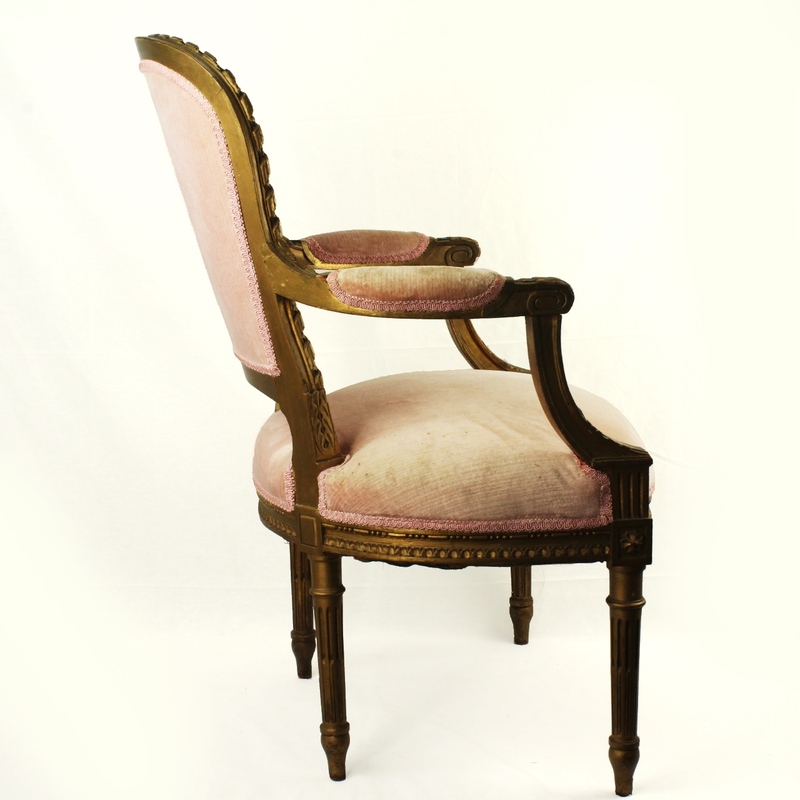 This chair has a steel spring foundation and a solid hardwood frame. 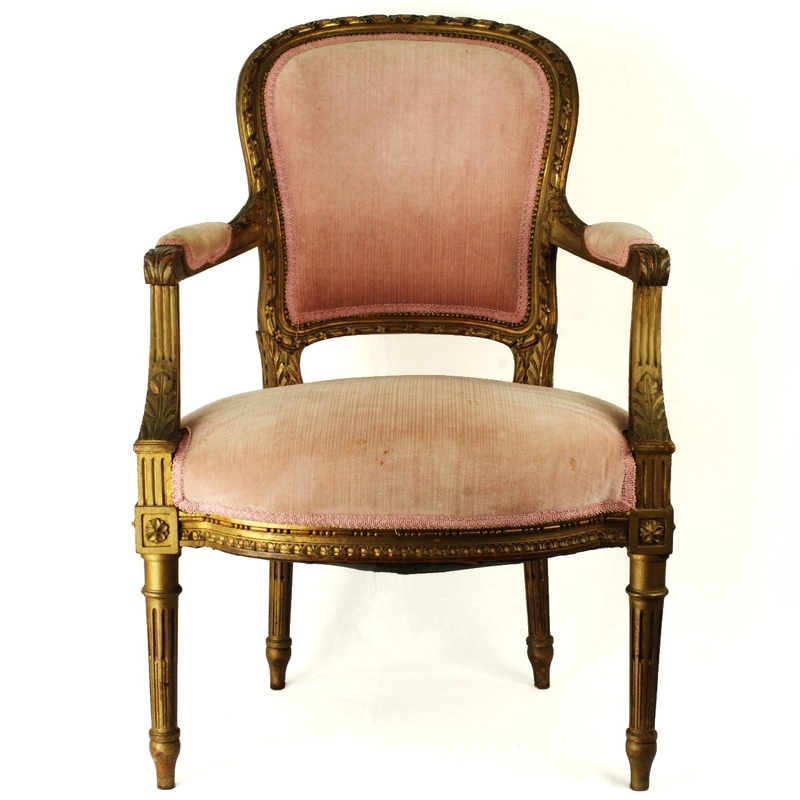 Condition: Upholstery is soiled. Chair is solid.